Like most college kids, my daughter's room is a tad messy. Clothes, shoes, sports gear are strewn all over the room like a small tornado ripped through the door and went out the window. To address this ongoing problem, Mrs. Dude has been looking for a compatible piece of furniture to house the constant stream of clothes that accumulate in Princess's room. My rather lazy idea was just wait until Fall when daughter would take some of the clothes back to her college dorm apartment. Admittedly a short term fix, but at least it would get the clothes out of the house. Not exactly biting on the idea, Mrs. Dude decided what was really needed was more storage. Naturally, I suggested Craigslist. Like the earlier deal I made on my Son's Ikea desk, I knew we would be able to find a nice piece of furniture to solve daughter's storage problem. That was all the encouragement Mrs. Dude's needed....the search was on! When Mrs. Dude gets the "fever" to buy something she's much like a locomotive coming down the tracks...you can't stop her so just get out of the way or you're gonna get hurt! Mrs. Dude began a relentless search, scouring the used furniture listings on a daily basis. Occasionally she would send me a link to make me feel I was a part of the search party. After about a week of looking, I couldn't help but notice there's a lot of nasty looking furniture for sale on CL. Most popular now are the classic Nineties era TV cabinets. Who can forget those hulking monsters that accommodated the big tube televisions everyone owned prior to the dawn of the plasma? Fewer people have tube televisions nowadays, so unless you can fit a fish aquarium inside those furniture pieces, they're pretty much obsolete. I owned one too and believe me, if you are trying to get rid of one you may have to post it under the "free" listings. Someone might haul it away for firewood! Mrs. Dude diligently weeded through all those TV cabinet listings hoping to find the perfect storage unit for daughter. After a few weeks had past she finally thought she'd struck gold, finding a huge white dresser with two drawers on the bottom and cabinet doors on top. The seller wanted $150 for it and insisted she would not come down any lower. I took one look at the photo and seller's price and nixed the idea. If there's one thing I've learned from wheeling and dealing on Craigslist it's this...everything is negotiable. From baby strollers to bikes and stuff in between, I've been beaten down by buyers on price. So when it comes time for me to buy, I expect to be able to do some negotiating too. Since the seller was dug in on her price, we decided to pass on the piece and moved on. Fortunately, we didn't have to wait long. A few days later Mrs. Dude found this nice big storage unit for sale. The seller was just ten minutes from our house and surprise, surprise...asking only $75. That was half the price of the previous two drawer unit! Liking the price and it's proximity, I told Mrs. Dude to hop in my truck and we would drive over to take a look. She gladly hopped in the passenger side and we were on our way. It's a rare occasion when Mrs. Dude rides in my truck with me in "Jackie and Diane" style, so I knew this cabinet was clearly a big deal to her! Arriving at the seller's house, we were escorted inside their daughter's equally messy bedroom. There we found the cabinet, tightly packed in the corner of the small room. The mom hadn't attached the two-door cabinet that went on top, but still had all the pieces for assembly. She further told me it was a Sauder furniture kit. Doing some Internet research later, I found that similar cabinets sell in the range of $200 or more. Things were looking pretty good for my daughter's storage problem! The mom was a nice lady, but she didn't have a chance with me. Always trying to find a new way to impress Mrs. Dude, I began working my negotiating skills on the poor unsuspecting women. I began with the usual rubbing of my chin while pondering. I followed this with a comment on how huge the cabinet was, making it really, really hard to move. I added that it was soooo big that I wasn't even sure if it could fit in our daughter's room. Then I hit her with my final deal-closer. Scratching my head as if I didn't really want the cabinet, I told the lady I would take "chance" on it for fifty dollars. I am not sure the mom bought my smoke and mirrors, but she didn't take long to think about it. Possibly looking to just get the thing out of her kid's bedroom, she gave me a subdued "okay". Mrs. Dude was happy! She paid the lady her fifty and with the husband's help, we loaded the cabinet in the back of my truck. The mom also retrieved the top cabinet pieces which included two side pieces, a top board and hardware. The only thing missing was the back board. As we left, the mom told me she would look around her packed garage for the missing piece and call me if she found it. On the short drive home, Mrs. Dude felt inclined to advise me how to drive my truck-commanding when to slow down at various turns so the cabinet wouldn't topple out the side. It was quite an enjoyable ride home. I hadn't been sternly counseled like that since my high school driver's ed teacher yelled at me for blowing a stop sign! Probably due to my wife's helpful driving lessons, the cabinet made it safely home. With my son's help, we hauled it up into daughter's room. I never heard from the mom on that missing back piece. So instead, I made a trip to the local hardware store and fashioned a $7.00 piece of pegboard to the backside of the top cabinet. As I screwed it into the back of the cabinet, I explained to my daughter how the pegboard would serve two functions. It would brace up the top cabinet, while also providing some nice air flow inside. While I thought it was a pretty sweet piece of carpentry work, daughter did not seem to be all that impressed with my mad skills! With the top half assembly completed, we moved the big monster into place. The final product looked awesome! Princess now has one more place to store her voluminous amounts of clothes. (I am sure it will be overflowing in no time.) More importantly it proves once again if you need a good piece of furniture...don't pay retail! Just about anything you need will eventually show up on Craigslist for the right price. My son's buddy came bounding into our house recently to do a little eBay bragging. Knowing I am the eBay gunslinger in these here parts, the young whippersnapper couldn't wait to tell me all about the big money he was recently making on eBay. It couldn't have come at a better time for the kid. Like a lot of newly minted college grads in a tough economy, he was between jobs and nearly broke. But lo and behold, he was now claiming to be raking it in on eBay. I was a little skeptical at first. But the kid insisted I check out his eBay listings to back up his boasts. So I humored the eager-beaver, condescendingly clicking on his seller account and fully expecting to find a bunch of lame baseball cards or similar. What I found instead nearly made my jaw hit the keyboard. Normally I am not easily impressed, but in this case I let out several stunned, "Wows!" The kid wasn't just blowing smoke-he was making major dollars that would put even this DUDE to shame! For a few brief seconds I hated the kid! How dare this rookie jump into eBay and hit home runs in his first go-round! Didn't he understand you first have to put your time in through eBay trial and error before seeing big profits? Once I worked through my emotions however, I learned the kid had pretty much stumbled across an awesome selling opportunity. His story proves you don't always have to be good at finding eBay inventory....sometimes you only have to be lucky! After I picked my jaw up off the keyboard, the young entrepreneur gave me the back story on his finds. In hyper-excited tones, he told me about his friend who's grandfather recently passed away. His friend had inherited his grandfather's coin collection along with other neat collectibles. The grandfather wasn't super wealthy-just a regular guy who collected lots of different stuff including stamps, Franklin Mint items and most importantly-coins. The coins in question were not fancy numismatic rarities. Most were just standard mint sets and special commemorative editions purchased directly from the US Mint over 30 years. The entire collection was stored in several Tupperware storage containers. The cache was so big that the grandson was overwhelmed and intimidated with the thought of having to liquidate the countless sets. He also didn't know the first thing about selling on Bay. That's when the kid stepped in. Something about being broke can really motivate a person. Smelling an opportunity to make some fast bucks, the kid made a sharp business proposition to the grandson. He offered to sell the coins and other collectibles on eBay, handling everything from photos to posting auctions and shipping. For his efforts he wanted 35% of the gross sales. It was a pretty fair commission considering some eBay sell-it stores ask as much as 50%. The grandson, looking to quickly liquidate the collection agreed. With a deal in place, hot-shot carted off the old timer's life-long coin collection and began his auctions. By now you're probably wondering how much did the kid actually make? Okay, so here's where the fun begins. In the interest of bringing my readers useful, accurate information, I cyber-stalked the kid's completed auctions and added up his sales. In a recent two week period, this upstart punk, whoops...I mean young entrepreneur, had total sales of $6800! Several of his auctions closed at sky-high prices of $500 to $1100 per set. Overall, he averaged just under $140 per auction. Doing the math, the kid's commission for just that two weeks came to $2400 dollars! Keep in mind he's been at this for about four weeks, so he may have earned close to $5000 in commissions in a month! I am not sure if the kid has reached the bottom of the old timer's Tupperware containers yet. But either way, those are some awesome profits he's making! The kid's coin selling deal proves consignment selling can be another great money making opportunity on eBay. 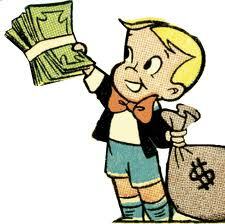 Like the kid, have you ever sold consignment items for a friend or relative? If so, how did it work out for you? Send in your stories and we'll post them. I like Fridays. Not just because it's the gateway to the weekend, although that's pretty good too. I really like Friday's for the garage sales. There's something special about a Friday garage sale. Because it's a work day, Friday garage sales have way less buyers. The competition typically consists of stay-at-home Moms, senior citizens and a few pickers who make it their "job" to go to garage sales. With so much less competition on Friday, there's more stuff to discover and buy! While I don't always have the time to check out Friday sales, when I do....it's GO time! With all this promising potential, I eagerly stopped at a local neighborhood yard sale this past Friday. Each year in May, this particular development holds a Friday/Saturday garage sale on their street. It's a pretty righteous happening! The well kept neighborhood usually has a decent amount of houses selling quality stuff. Since it's a two-day affair, I always stop by both Friday and Saturday, finding completely different houses selling each day. But in the interest of efficiency, if a Friday seller is still selling on Saturday, I blow right by the house. I base this on my "all the good stuff is already gone" theory. Anticipating good things, I pulled into the neighborhood and found eight homes participating-a nice substantial number for a Friday. I was slightly disappointed when I found the same houses seem to sell on Friday every year. But I figure they've had a full year to reload on their stuff, so who knows what you'll find? With each house, I can also remember what I bought in previous years and hope to score similar deals. This is always hit or miss though and unfortunately, I was striking out this year. But with just a few to go, I walked up a driveway to find a lady in her Seventies carefully putting out some interesting looking stuff. Much of it was antique, knicky-knacky stuff that piqued my interest. I think I actually startled the nice lady, because I quietly walked up right behind her as she dug through her boxes. She jumped a bit when she realized I was there and I gave her a friendly hello, adding that it was a great morning for a yard sale. Since the lady had a nice collection of older decorative stuff and I was running out of houses, I figured I should spend a little money. I bought a 5-piece wood doll furniture lot. I also discovered some old decorative, sparkly cardboard Christmas houses all for a buck. Lastly, what I think could potentially could be my big home run...an old box of very feathery birds in the original box. The whole kit-n-caboodle came to six dollars! But most importantly, for the entire ten minutes I was digging through her stuff not another soul came up the driveway to look. That's why I love Friday yard sales! Here's another true-life example of a Friday garage sale find. 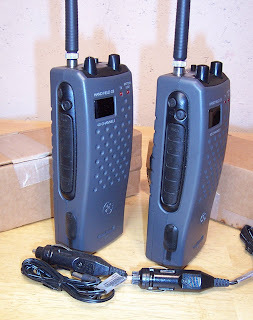 Check out these Walkie-Talkies I bought a few years ago. These guys are not to be confused with some kiddie toy set. We're talking "big-boy" Citizen Band 40 channel portable radios made by General Electric. You may think the days of CB radio passed about the same time they canceled the Dukes of Hazards, but you'd be wrong. There is still a big market for these radios. Typical buyers are construction companies, farmers, hunters...anybody who needs to communicate "out in the field." (They also wear Carthartt coats-see my previous blog.) I spotted these hard-to-find radios at a Friday morning garage sale. They were barley used and came in the original boxes. Just like many Friday garage sales, I was the only lucky person standing in the driveway. The seller priced the radios at $10 for the set. I countered with $5 and we wheeled and dealed, finally settling at $8 for both. I think I can safely say that if these radios were at a Saturday yard sale, they would have been sold quickly. But since it was Friday, my competition was light and I snagged this set for a great price. When I have specific items I know will sell quick, it doesn't sit around getting dusty. I won't waste any time researching eBay to determine prices...I just post the auction and wait for the money to come in. These radios fell into that "sure-thing" category. In just seven days, I turned eight dollars into a final auction price of $63. Like I said, I love Friday garage sales! I did pretty good with this Friday score-how about you? Have you ever beat the competition at a Friday garage sale? There goes my lamp....to California? I've been burned over the years by a few buyers. It's normally the usual complaint of either non-receipt or alleged damage. But given eBay's liberal refund policy, I've come to learn that trying to dispute a claim is hardly worth the effort. It's usually better to just bite the bullet and make the refund. (As consolation, you can always block the buyer from future bidding.) But while making a refund can be frustrating, what really burns my biscuits is when I am forced to do so under completely false pretense! "Hello, we just won a bid for the item and we have a favor to ask you. Can you please make sure the shipping package has the eBay item numbers on it? For those of you who are going to separate an item into more than one box, it would be much appreciated if you numbered the packages. (e.g 1/2 2/2) Also, if we need to specify the size, color or any information for the item to be shipped out, please remind us to inform you. Last but not least, please include all correct items that are shown in the picture and/or your description. *This message was auto generated." Not only was this e-mail "De ja vue" for me, but I also had the distinct impression I was communicating with "Hal" the computer. The auto-generated reference at the bottom of the e-mail confirmed my gut feeling. The buyer was listed as "Flight2lax." Remembering I had dealt with this kind of sale before by a company called Shop Airlines America, I Googled the buyer's name. Google is a wonderful thing. With a click of the mouse, I came up with an eye-opening article with reader's comments from eCommerceBytes. Turns out Shop Airlines America and/or Flight2lax are the same company.The excellent blog piece outlined problems a number of seller's shared in common when dealing with Shop Airlines America. According to the reader's comments, Shop Airlines America is actually a broker buying eBay items for mostly Asian buyers. Once the broker receives the eBay item at their California address, it's re-shipped overseas. Nothing against overseas buyers-but most of my listings are domestic only. 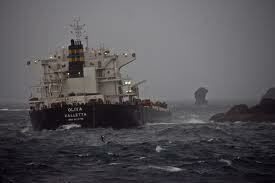 One reason is the odds of an item being "claimed" damaged or lost is greatly increased when shipped overseas. Like most sellers, I am in the business to make sales-not refunds! It's obvious that Shop Airlines America, aka; Flight 2lax, serve as a "ghost" bidder. They make purchases for overseas buyers in order to circumvent the seller's "domestic only" shipping policy. Now normally, I wouldn't care a hoot about some secondary shipper...except for one outrageous fact. Apparently, if the item is damaged/lost/stolen on that second shipping, the original seller is still on the hook for any damage. This despite the fact that the seller had nothing to do with the overseas shipment! So even though the seller is completely out of the overseas loop, eBay/Paypal will still reach into his/her pocket and refund the buyer's money. Obviously just another misbegotten "The buyer is always right" eBay policy! For further proof, check out all the seller's complaints in the reader's comments section of eCommerceBytes . Like the others, I was burned by this re-shipper. About a year ago, I shipped a Coleman camping lamp to "Shop Airlines America." Judging from their name, I assumed they were was some kind of store or website specializing in unique merchandise. Sort of like those eclectic catalogs you see in the pockets of the airline seats. Thinking I made another great camping lamp sale, I carefully packaged the Coleman lantern for it's trip to California.The buyer had a California shipping address, so in my book they met my "domestic only" shipping requirement. All was quiet for nearly six weeks until I received a complaint out of the blue from the "California" buyer. They claimed the glass globe was broken. It was clear to me however that if the globe had been received broken, I would have been notified many weeks earlier. It didn't dawn on me at the time, but I later deduced the lamp probably broke deep inside the hull of a sea-tossed freighter heading towards Japan! But whatever happened, my so-called "domestic" buyer was now requesting a refund via another computer generated e-mail. Thinking at the time I was dealing with an actual person rather then a computer, I suggested it would be a waste of everyone's time to ship the entire lamp back just because the globe was broken. I countered instead with the common sense offer to refund the cost of the broken globe. But "Hal" the computer didn't respond to my human logic. I received another computer generated e-mail ignoring my suggestion and demanding a full refund. Knowing eBay/PayPal would force the refund anyway, I agreed and several weeks later my camp lantern was back on my doorstep-only this time there was a noisy, shattered glass globe inside! Which brings us back full circle to the vintage board game I sold. Like the previous sale, I received the above computer generated e-mail requesting the eBay listing number be scrawled on the outside of the parcel, along with several other mind-numbing demands. You could tell from the tone of the e-mail, the company handles parcels of mass quantities and doesn't bother to inspect the stuff when it arrives. It's all consolidated onto pallets or containers and shipped overseas for someone else to deal with. In their big shipping operation-who cares when or if it's broken? Either way, the seller will cover the cost! Well this time around, I would have none of it! As the old saying goes, Fool me once-shame on you. But fool me twice-shame on me! So guess what happened to that board game? It was the weirdest thing...I didn't have it in stock any longer. I regrettably had to cancel the transaction! What a shame...guess I won't be making a refund in about six weeks when the real buyer in Japan claims it arrived all busted up! So learn from my bad experience and others. Be on the lookout for these re-shippers who are out to circumvent your shipping policies. When you uncover them-block them from bidding! You'll find some of their name variations listed in the comment section of the eCommerceBytes. Have you ever been burnt by a re-shipper?